TIANA Fair Trade Organics is celebrating as two more superfoods, TIANA Organic Exquisite Omega 3 Spreadable and TIANA Raw Organic Coconut Goodness, now proudly carry the Great Taste logo. 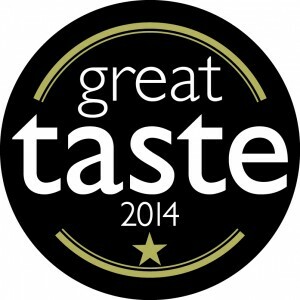 Judged by over 400 of the most demanding palates belonging to food critics, chefs, cooks, members of the Women’s Institute, farmers and a host of food writers and journalists, Great Taste is widely acknowledged as the most respected food accreditation scheme for artisan and specialty food producers. TIANA Fair Trade Organics now have a total of four Great Taste Awards following on from last year’s success, where they picked up gold stars for the No.1 Best Selling TIANA Organic Raw Extra Virgin Coconut Oil and the superb TIANA Pure Organic Wild Flower Active Honey. TIANA Organic Exquisite Omega 3 Spreadable is a premium quality, dairy free, butter alternative, made with the award winning TIANA Fair Trade Organic Raw Extra Virgin Coconut Oil in a formulation with top quality cold pressed organic olive oil and flaxseed oil, a natural source of Omega 3. It is cholesterol and trans-fat free and can be used as a spread or added to cooked vegetables and potatoes. The latest superfood innovation, TIANA Raw Organic Coconut Goodness, is nothing but the pure white unsweetened coconut flesh from organic coconuts. With a smooth and creamy consistency made using the latest cold pressing technology – below 40°C, it is 100% raw coconut goodness that can be used for desserts, smoothies, baking and cooking. It also makes raw coconut milk or cream when diluted with a little water.